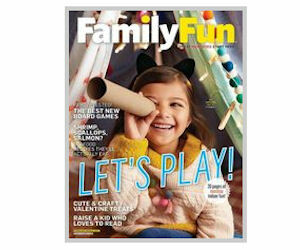 Sign up to begin a free 1-year subscription to Family Fun magazine! FamilyFun magazine is geared towards parents and caregivers with children aged 3-12. Every month your magazine will be jam packed with easy and fun crafts, yummy recipes kids and parents will love, parenting tips, advice and much more!